This article analyses the current general system of preferences of the EC in order to assess its conformity with the international obligations imposed by law of the World Trade Organization. The analysis is carried out in light of the recent WTO ruling, which found the old system of preferences incompatible with WTO law. 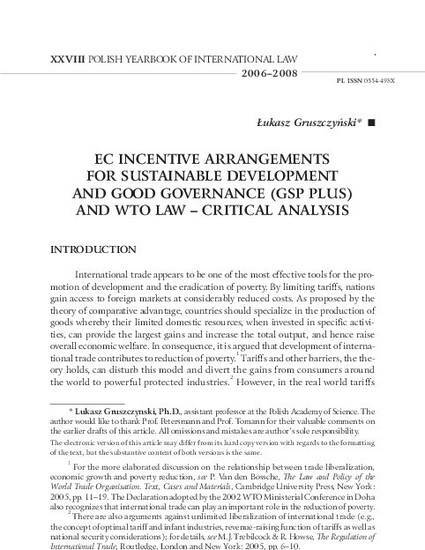 In this context, the article argues that some aspects of the new system relating to special incentive arrangements for sustainable development and good governance may potentially conflict with the requirements of international trade law.